After snatching the cars at gunpoint, the suspects would dismantle the vehicle and, thereafter, sell the parts to buyers at the popular Ladipo market. Operatives of Special Anti Robbery Squad have arrested a member of a three-man armed robbery gang who specialised in snatching exotic cars within and outside Lagos. The 33-year old suspect, Austine Orji, was arrested at Elegushi while dispossessing residents who had come to relax at the beach of their valuables. It was learned that after snatching the cars at gunpoint, the suspects would contract their receivers, who would assist them to dismantle the vehicle and, thereafter, sell the parts to buyers at the popular Ladipo market. According to Orji, “I was arrested by the police because I am a car snatcher. I was a driver before I went into car snatching. I was arrested at Elegushi beach. However, my friend, Victor, who introduced me into armed robbery, escaped. “I stopped driving in December 2018, after which Victor invited me to Ore, saying he had a business he wanted to introduce me to. When I got there, both of us travelled to Benin City, where we rented a locally made gun. We rented it for N30,000 but we paid N10,000 cash and promised to pay the balance of N20,000 when we return from robbery operation. “We have only snatched a car before I was arrested. I got N12,500 as my share from the N60,000. “We successfully snatched an old model Corolla car, which we sold for N60,000 as scrap. The vehicle was butchered and sold in parts at Ladipo market, after I called an acquaintance, Ugobest, at Ladipo. Ugobest connected me to the person who bought the vehicle parts." 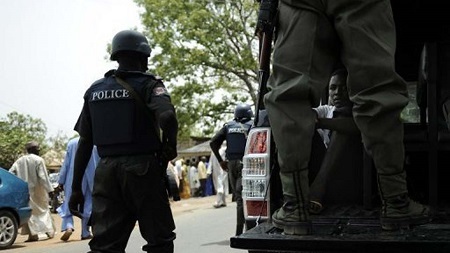 Confirming his arrest, spokesperson Lagos State police command, DSP Bala Elkana, said the suspect was arrested after policemen at Ajah station received information that some robbers were sighted at Eegushi beach, Ajah disposing unsuspecting victims of their valuables.